For company representatives, there may be no greater feeling than the one they get when they come to work and find a massive gift basket on their desk. Businesses should try to spread holiday cheer by rewarding their employees for all of their hard work by putting together a collection of corporate gifts for them. As employers weigh their options in terms of the kinds of items that they would like to include in their baskets, they should take their staff members’ preferences in mind. Chances are, representatives are not going to be over the moon if they receive pounds of dense fruitcake – unless they are crazy about dried currants. 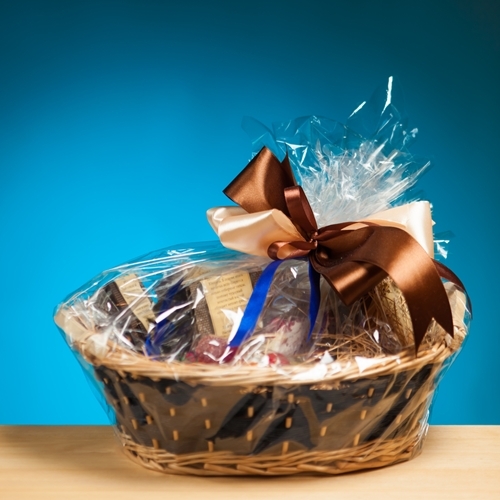 Overstock.com explained that receiving holiday baskets should not be bothersome for employees. If companies throw together a bunch of items with limited use, then they may just be contributing to desk clutter. To prevent this from happening, corporations should think about giving their representatives items that they are likely to implement over the course of their workday. Everything from business pens to laptop bags would make ideal presents because they all have something to offer staff members on a daily basis. Instead, business owners should take a more logical approach when assembling their employee presents. Perhaps the best way for organizations to show their personnel that they truly care is to acknowledge their individuality. By incorporating personalized business gifts into their arrangements, ones that representatives will actually use, organizations can ensure that all of the thought they’ve put into purchasing these presents pays off in the long run. The Windsor Star explained that a basket full of food will appeal to employees’ tummies and win over their hearts. The key to this approach is to select delicacies that they will enjoy. This way, it is almost certain that they will be consumed and that staff members will be satisfied with their presents. Companies can make this gift even better by piling all of their chocolates and assorted sweets into a reusable alternative to a basket. While some employees may find ways to recycle baskets, such as turning them into decorative accents around their house, they could benefit so much more from a more practical item like personalized tote bags. By handing out bags filled with goodies, businesses will give their staff members a gift that keeps on giving.